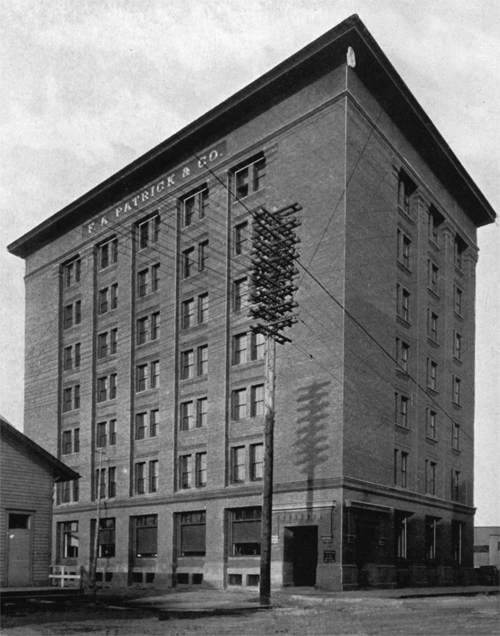 The F. A. Patrick Company, aka Patrick Woolen Mills, was organized in 1901 by Frederick A. Patrick as a wholesale dry goods business. Patrick learned the wholesale business at several prominent Duluth firms, including a stint as company secretary for Stone-Ordean-Wells. The wholesale dry goods store sold its wares under the Northland brand. In 1903 Patrick had William Hunt design a seven-story brick building at 302 South Fifth Avenue West. A year later it started manufacturing shirts and overalls. Patrick then acquired the Fosston Woolen Mills of Fosston, Minnesota. Other mills were added over the years, including Mankato Spinning and Knitting Mills in 1913. In 1922 the company reorganized as the Patrick Duluth Knitting Mills. 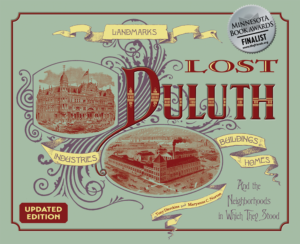 Among the company’s assets was Duluth’s Glass Block store, which it purchased in 1911. With the demand for warm clothing by men who worked out of doors in the lumber industry, the Patrick Company decided to concentrate on clothing and built a woolen mill and garment factory at 2900 West Superior Street to produce the fabric for the garments it produced. 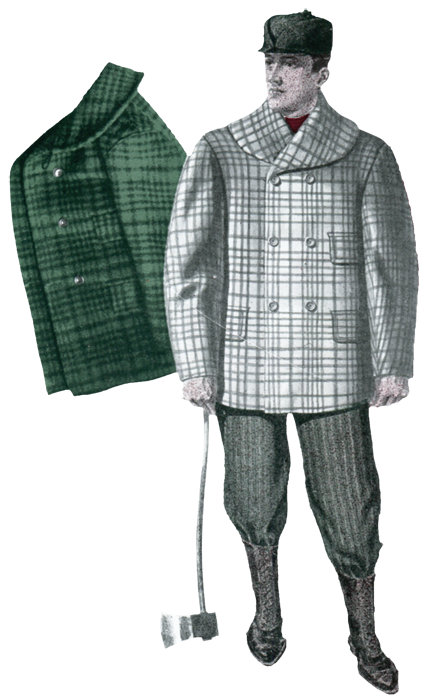 By 1924 F. A. Patrick had expanded and produced nationally a wide range of garments including overcoats, jackets, shirts and sportswear, all of which carried the Patrick-Duluth label. The Mackinaw was so popular that in 1928 Patrick launched a plan to sell directly to consumers. The timing was bad, and after the stock market crash of 1929—and with stiff competition from mills in New England—Patrick Duluth closed its operations. Patrick himself died in an automobile accident in 1931. When it folded in 1929, Patrick Duluth was purchased by the S. M. Polans Company. Polans may have produced clothing and could have used the Patrick-Duluth label, but I have found no ads or references to their clothing. By 1944 the Polans name disappeared; a new firm, Patrick Overcoat Company, began production of coats in 1946. A news article stated the company would use the Patrick label, but by 1951 the Patrick Overcoat Company name was gone and it became a mail order business with a factory store in downtown Duluth.